TETER is pleased to announce the addition of Lee Avila, a registered Architect, to the firm’s Modesto office. 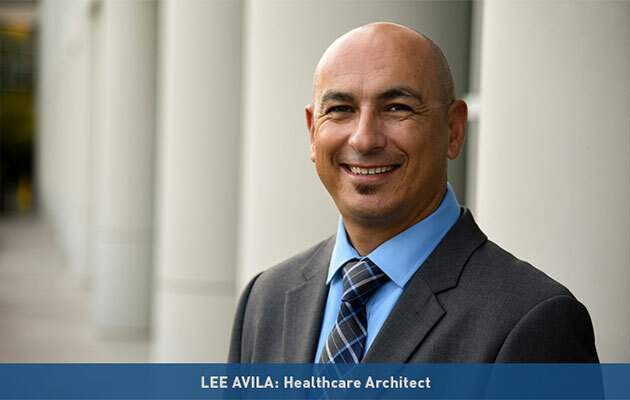 Mr. Avila brings twenty years of experience and long-standing working relationship with the Office of Statewide Health Planning and Development (OSHPD) to strengthen the firm’s Healthcare Team. His expertise with hospital multi-phased infrastructure upgrades, large-scale medical equipment replacement, and multi-million dollar new additions/renovations will provide immediate benefit to TETER’s healthcare clients. Memorial Hospital of Los Banos, Tenant Health, Doctors Hospital of Manteca, regional and nationwide healthcare providers, including Sutter Health, have counted on Mr. Avila, who understands complicated hospital operational systems, for two decades to ensure that their facilities and patients’ needs are met. TETER’s Healthcare Team is excited to add Mr. Avila’s wisdom and knowledge to serve our valued healthcare clients.